Looking for a way to stop stimulant abuse? Do you want to stop dealing with the side effects of ADHD medicine? Consider ADHD natural remedies. One of the biggest issues affecting children of the 21st century is ADHD. New studies suggest that doctors are overprescribing medicine. Are these medications necessary? It isn’t difficult to get prescribed ADHD medication. Overprescribing ADHD medication isn’t the only issue. There are side effects that can be detrimental to one’s health. Side effects include loss of sleep, loss of appetite, heart complications, and mood swings. Wide spread use of these drugs has led to abuse. This is particularly the case on college campuses. College kids are prescribed these stimulants and sell them to make a quick dollar. The pills are used to help kids cram for tests and get homework done. Many are also looking for the “high” effect that is associated with stronger amphetamines and stimulants. Implementing ADHD natural remedies can help stop the abuse of these drugs. Before getting into ADHD natural remedies, it’s important to list food additives that may be aggravating the condition. The first step to address ADHD naturally is to avoid food products that can lead to hyperactive activity. Below is a list of food colorings and preservatives that should be avoided to lower hyperactivity. By avoiding these common food additives and preservatives, ADHD victims can lower their hyperactivity. This will often lead to more concentrated focus. One of the ADHD natural remedies is to supplement with zinc. There is evidence that children with lower levels of zinc may be more prone to the condition. This study concluded that zinc sulfate supplementation reduced symptoms of hyperactivity. It also lowered impulsivity and impaired socialization compared to similar patients given a placebo. However, there was no noticeable reduction in attention deficiency symptoms. A study at theSahlgrenska Academy of the University of Gothernburg showed that supplementing with omega-3 and -6 supplements can help children with ADHD. In addition to improved attention and behavior, the children given the supplements also showed improvements in vocabulary. It’s believed that the fats in fish oil improve brain function. Many parents have seen improvements using a kid friendly fish oil supplement like this one. Pills are not the only natural remedies that can be used to treat ADHD. A growing popular alternative to pills is Electroencephlographic (EEG) biofeedback. A 2011 study concluded that EEG showed promising signs of helping ADHD victims recover. It is a neurotherapy that measures brain impulses in the brain. Through a video game the machine can track brain activity and train the brain to focus if it starts to get off task. Such a game involves players to follow a task. The task may be to keep the plane in the air. If loss of concentration is detected, the TV may turn off or the plane may begin to nose dive to alert the player that they are losing concentration. Relaxation is another key to helping kids deal with ADHD. Studies like this one show that victims who participate in massages, yoga, or Tai Chi showed tremendous decreases in anxiety and social problems. 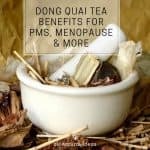 The study showed that teenagers who participated in Tai Chi over a few weeks daydreamed less and exhibited less bouts of emotional distress. And, the benefits continued for two weeks after with no Tai Chi sessions. Are ADHD Natural Remedies Effective? With one or more of the above ADHD natural remedies, ADHD victims can find it easier to cope with symptoms. Using an alternative method can also prevent the over prescribing and over-use of stimulants used to treat ADHD. It is becoming a growing problem, especially among the college population. 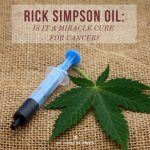 Natural remedies are shown to be effective without any negative side effects. Why not give them a try? 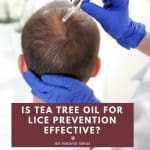 Is Tea Tree Oil for Lice Prevention Effective?